Usefullytics, a service that helps businesses create a confident content strategy and offers automated graphical web analytics reports, so website owners can understand and use their site data to hone their content strategy. An English major, a substitute teacher, an office manager at a small business, and an SEO analyst, content writer and project manager for vacation rental site, HomeAway. Usefullytics is entirely self-funded “on the cheap,” and Kiley says she doesn’t have plans to raise investments or borrow funds. Her biggest expense has been her website, hosted on Squarespace, and she’s holding off on buying some of the other paid online tools and software she’d like to have once she has more clients. In the meantime, she’s taking advantage of many of Google’s free tools and borrowing some of the video equipment her husband already owns for his coaching business. 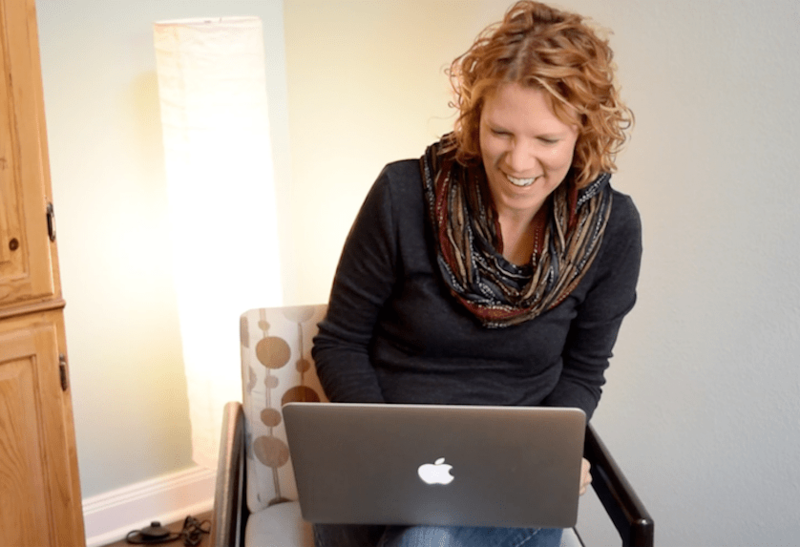 Another proud moment came three months after her business launch when Kiley had earned enough income to fund “a little business retreat.” She treated herself to a hotel room and spent some time alone planning, writing, and refining the Usefullytics content strategy. Kiley said she’s grateful for her remote working arrangement at HomeAway because it makes it so much easier to be a working mom. But she still has to be available at the times her company deems – which sometimes includes phoning in to early morning meetings to meet with global team members who are up to seven time zones away. Business ownership, she says, lets her plan her time the way she wants to. She spends so much time focused on improving her clients’ websites, Kiley says it’s easy to neglect her own. She realized that’s not a good thing because her site is often the first example of her work prospective clients see. She’s now making a conscious effort to “take her own advice” and walk herself through the same process she uses with her clients. RELATED: Kiley shares a few tricks to help business owners take the fear out of reading web analytics.